INDIA. Mumbai. 2006. 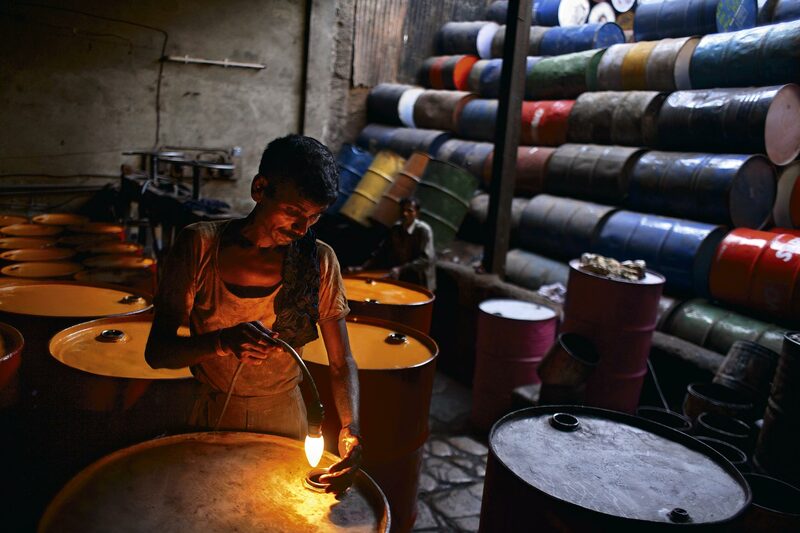 At a barrel recycling business, workers process barrels and drums. They remove oil and chemical stains inside the barrels, clearing them for reuse.